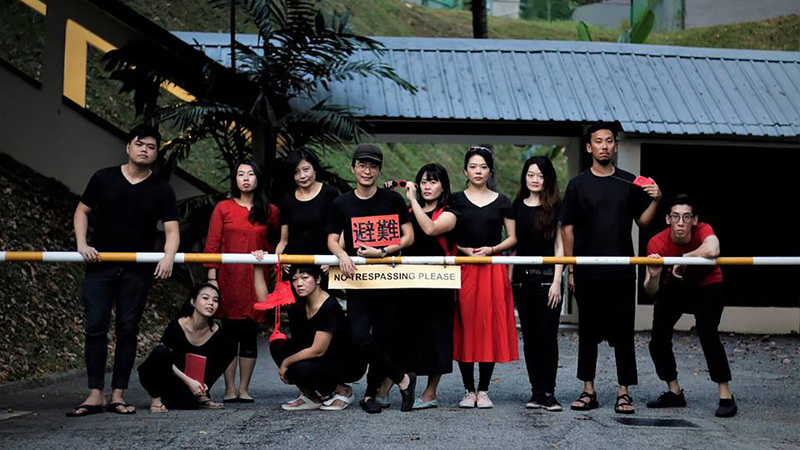 避难阶段 Emergency Stairs is a non-profit experimental theatre company that walks on the fringe while dialoguing with the centre. By focusing on the processes behind creation, we create self-reflexive and irreverent works that disrupt and challenge existing notions of art-making. Through this, we aspire to become a platform for artistic dialogue within Singapore and beyond. 避难阶段 is a Japanese-Kanji term for fire exit stairs. When one does theatre in a modern city, isn’t it a form of seeking refuge? Refuge does not mean escape, it means soul searching, it means saving oneself, it can even mean a revolution. Only then does theatre begin to be much more than a series of endless productions: it transports you to another place, and to new heights. Emergency Stairs Ltd. was incorporated as a Company Limited by Guarantee (CLG) in June 2017. Emergency Stairs is supported by the National Arts Council under the Seed Grant Scheme for the period from 1 April 2017 to 31 March 2020.